Next week in Rome, 126 countries will debate whether chrysotile asbestos should be added to a 'watch list' of dangerous chemicals. In a four-part series on the eve of the Rome talks, Katie Daubs examines the past and present of Canada's asbestos legacy. AHMEDABAD, India - Narayan Mehra smiles through the sheets of rain and motions for us to come inside. He is proud of his home, which is a lot like him -- worn, but dignified. Raghunath Manwar, the secretary of the Occupational Health and Safety Association in Ahmedabad, has brought me to this periwinkle-blue house to hear Mr. Mehra's story, so I can understand what happens to Canadian asbestos when it arrives in India. There's no mistaking Mr. Mehra from a photo I saw a few days earlier, on a sheet labelled "Asbestos Victims." He is a small man with grey hair and good posture. As Mr. Mehra's wife, Sureetha, passes us cups of chai, Mr. Mehra sits on a stool, and tells me about his job in the turbine department at a thermal power plant down the street. He says he used to mix asbestos from Canada and India with other chemicals, then put it on pipes for insulation. "It was a good job," he says through a translator. It gave him enough money to buy this house and raise a family in the '70s. Mr. Mehra says there were few safety measures and he never figured asbestos was dangerous. Before he retired, he was diagnosed with asbestosis, an illness that scars the lungs, making it difficult for them to expand. Usually the body's filters keep particles from settling in the lungs, but asbestos fibres are tiny and difficult to expel, causing diseases like the one from which Mr. Mehra suffers. A recent X-ray reveals that Sureetha Mehra has the same scars on her lungs. She's never worked at the plant, but she washed her husband's clothes. She is bigger than her husband, and wears a modest sari and a few red bangles. She doesn't understand the conversation, but smiles pleasantly from the corner of the room where she sits, arms folded in her lap. Even though I'm half a world and several years away from the memory, Christmas 2001 rattles in my head. My grandparents had nine children, so as time passed, family get-togethers became crowded affairs. In the late '90s, we tried to make it easy by celebrating the festive season in a rented hall. Christmas 2001 was not much different, except this time we gathered at St. Joseph's Hospital. As my extended family dined on ham and scalloped potatoes in a hospital lounge, my grandma was dying down the hall. My youngest cousins squealed with excitement when they opened dress-up outfits and plastic high heels, gifts from my grandma. They clomped down to see her. She wanted to join us, but couldn't get out of bed. At 77, Georgina McHenry had mesothelioma -- cancer caused by asbestos exposure -- and had lost 50 pounds. Our grandpa, John McHenry, was already dead. He'd been a carpenter in Sarnia's chemical industry. The doctors suspected he had mesothelioma, but my family didn't find that out until a few years after he died. One month after he died, my grandma came down with chills, lost her appetite and experienced extreme nausea. After three lung biopsies, they figured it out. Although she had never worked in a chemical plant or a mine, she had mesothelioma. The only contact she'd ever had with asbestos was when she washed my grandpa's work clothes, as Sureetha Mehra had her husband's. Different lives, continents and diseases, but hauntingly similar situations: they put their lives at risk doing laundry. When my grandma died in February 2002, she weighed 85 pounds. Her arms were skin and bones. For 35 years my grandpa held a steady job at Imperial Oil. He didn't believe in coffee breaks and life was more or less black or white. "The company was good to me," he'd say. And it was true, except for those last few years. As a carpenter, one of his jobs was to wrap pipes with asbestos insulation. The material was fireproof, which is why it was used to insulate many of the pipes in Sarnia's chemical industry. Doctors and nurses encouraged my family to submit a claim for both my grandparents. The Workplace Safety and Insurance Board denied them both. There was no conclusive proof that mesothelioma had killed my grandfather. My grandmother was a secondary victim, ineligible for compensation. The claims have never been resolved. Neither have my questions. That's why I'm in India on a monsoon August day. I'm trying to understand as much as I can about chrysotile asbestos. Despite the estimated thousands of Canadians who have died and the World Health Organization's call for a global ban, Canada continues to send asbestos to recipients in the developing world. Chrysotile asbestos is recognized as the least dangerous type of asbestos, but is still classified as a carcinogen by the International Agency for Research on Cancer. The Canadian position is that risks can be controlled. An editorial in last week's edition of the Canadian Medical Association Journal describes Canada's position as "self-serving," if not preposterous. "Most developed countries, including Canada, have concluded that their occupational health and safety systems were no match for handling asbestos safely ... for Canada to pretend that India, Thailand and Indonesia can succeed in managing asbestos safely, when developed countries have failed, is fanciful." Industry advocates say asbestos and the way it is handled are safer today. I'm here to see for myself. The Canadian chrysotile asbestos industry is located in the Eastern Townships of Quebec. 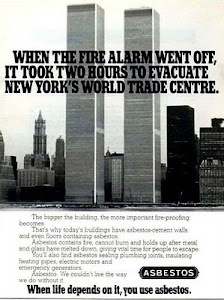 In the heyday of global asbestos consumption, Canada was the main player. But with Russia, Kazakhstan and Zimbabwe mining at lower costs, the Canadian industry has shrunk significantly, and now employs about 1,000 people. Last year, Canada exported $77 million worth of asbestos; 43 per cent of it arrived at Indian ports. Some consider chrysotile asbestos a godsend for India, where 456 million people live on less than $1.25 a day. It is inexpensive and can be mixed with cement to create all kinds of useful infrastructure: pipes, brakes and rooftops. The Canadian government maintains that while chrysotile asbestos is carcinogenic, it can be used safely if proper controls are in place. Critics have questioned this for years. Many other countries have implemented bans and restrictions. "If Sweden doesn't think they can use it safely, developing countries don't have a chance," says Dr. Jim Brophy, the former director of Sarnia's occupational health clinic. Even within Quebec, there are doubts. When the Quebec government implemented a policy to increase its usage of chrysotile asbestos in 2002, the Institut National de Santé Publique du Québec published a report that stated the government shouldn't be endorsing the mineral because it was a proven human carcinogen that was difficult to use safely, especially in construction, renovation and asbestos-processing industries. Clément Godbout, the director of the Chrysotile Institute in Montreal, says far more countries use the mineral than do not. Emotion, he says, clouds the debate. He says people who have lost family members have a hard time keeping an open mind. They don't understand, or perhaps don't want to understand, that working conditions are different now and that different types of asbestos are used, he says. Mr. Godbout explains that it was amphibole asbestos -- amosite, crocidolite, and tremolite -- that made people sick because the fibres are needle-like, and have a longer "biopersistence" in the lungs. He says chrysotile asbestos is of the serpentine family, and the fibres are eliminated from the lung easily. Scientists have debated the danger of chrysotile fibres to such an extent that terms have been coined for the bitterly divided camps: "Chrysophiles" say amphibole fibres caused so many illnesses in the past. "Chrysophobes" say chrysotile asbestos is just as bad -- and point to the high cancer rates among Canadians exposed to that type of asbestos. I don't know what kind of asbestos was on my grandpa's clothes, though Dr. Brophy is adamant that chrysotile asbestos was the only asbestos used in Sarnia, with the exception of one plant. "We have to be very frank. The past conditions, the working conditions were just terrible -- there was dust, no controls, and all sorts of fibres. No wonder that today we have a problem," Mr. Godbout says. "But we shouldn't be closing our eyes. Today, the building industries, we are not doing those things anymore." But those who support a chrysotile ban say controls are not enforced in the developing world. In 1984, the Canadian asbestos industry created the Chrysotile Institute. According to Access to Information documents obtained by the Citizen, the Canadian government has contributed more than $19 million to the institute since its inception. The institute bills itself as an industry leader for promoting the safe use of chrysotile asbestos around the world. Leading researcher Barry Castleman, author of Asbestos: Medical and Legal Aspects, says the institute makes the global situation worse by legitimizing bad science. And as the scientific and political battle continues, the next salvo will be fired in Rome. Next week, United Nations member countries that have ratified the Rotterdam Convention will try to add chrysotile asbestos to the Prior Informed Consent list. Chemicals on the list are deemed dangerous, and countries that import them are provided with this information in advance so they can decide if they should continue to import the substances. Inclusion on the list doesn't mean a chemical is banned, but it puts a significant dent in its reputation. In the past, Canada and a handful of other countries, including India, have vetoed the addition of chrysotile. A spokesman for the Department of Foreign Affairs and International Trade said the position in 2008 is still being considered. 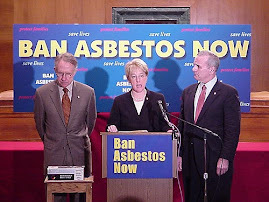 New Democratic Party MP Pat Martin, who has supported an asbestos ban for decades, says by keeping chrysotile off the Rotterdam Convention, Canada is abusing its image. "Other countries think, if a nice country like Canada thinks it's OK, it must be. Canada is lying to the world about asbestos." Mr. Martin says he is going to Rome to tell other countries to listen to Canada's scientists, not to its government. Mr. Godbout had no specific details about Canada's position. He says he'll be in Rome as an observer. Critics say commercial interests threaten the sanctity of the convention. Others worry the exclusion of chrysotile threatens workers around the world. Mr. Godbout says if chrysotile is added to the list, its replacement might be more dangerous and less regulated. In Ahmedabad, Narayan and Sureetha Mehra have no position on the matter. 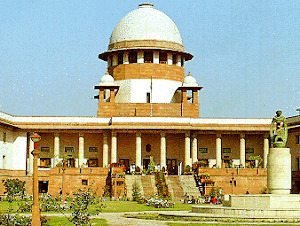 Mr. Mehra's compensation case has languished before the Gujarati High Court for 14 years, and the couple don't have enough money to finance a claim on Mrs. Mehra's behalf. Their children support them, and Mr. Mehra uses his pocket change to buy the inhalers he needs to breathe. 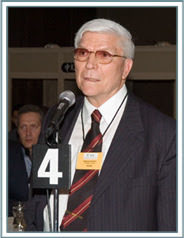 Mr. Mehra was exposed to asbestos from all over the world in his job: India, Russia, Canada. The asbestos story is tangled like that. It stretches around the world, from the mines of Quebec and Russia to the factories of India to the decision-makers in Rome. It's a story that spans decades and many lives, affecting the powerful and powerless alike. Mr. Godbout is right. It's not right to confuse the past and the present, but the two are inextricably linked. Although India has used asbestos for decades, its use has been exploding since the mid-'90s. As a result, we will look at another place that has used asbestos heavily, but neither produces, nor uses, the mineral anymore. We will look at Sarnia. Chrysotile (white asbestos) -- Mined from serpentine rock. Chrysotile is the most flexible form of asbestos, and the most prevalent commercially. It is considered dangerous, but not to the same extent as asbestos from the amphibole family. Some scientists say because chrysotile fibres are somewhat curly, they do not stick around in the lungs like the straight, needle-like fibres from the amphibole family. 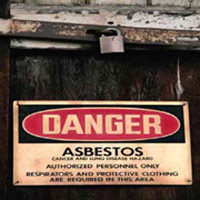 There has been a continued debate about the danger of chrysotile asbestos. The International Agency for Research on Cancer classifies it as a known human carcinogen. Amosite (brown asbestos) -- Mined from amphibole rock in South Africa. Generally accepted to be the second-most-dangerous type of asbestos. It is no longer mined. The International Agency for Research on Cancer classifies it as a known human carcinogen. Crocidolite (blue asbestos) -- Mined from amphibole rock in South Africa and Australia. Considered the most dangerous type of asbestos. Crocidolite fibres are straight and needle-like, which makes them easy to inhale. Crocidolite fibres are also known for staying in the lungs. It is no longer mined. The International Agency for Research on Cancer classifies it as a known human carcinogen. Asbestosis -- Asbestosis is intense scarring of the lungs. After prolonged exposure to asbestos, scars form where asbestos fibres have settled. There is usually a latency period of several decades. The scars make it difficult to breathe by decreasing the elasticity in the lungs. There is no cure, and symptoms get worse over time. There is also an increased risk of developing lung cancer. Mesothelioma -- A rare cancer linked to asbestos exposure. The cancer forms in the mesothelium, which is composed of the pleura (thin lining around the lung),and the peritoneum (lining of the abdomen). Mesothelioma occurs when asbestos fibres settle in the lining of the chest cavitity or the abdomen and create malignant tumours. The tumours compress the lung, making it very difficult to breathe and swallow. There is also extreme weight loss. The latency period can vary from 10 to 40 years. Death is common within six months to two years of diagnosis. Lung cancer -- Lung cancer can be caused by asbestos, cigarette smoking, and other agents. Pleural plaques -- Pleural plaques are an indicator of asbestos exposure, and are not fatal. They are patches of tough, callus-like tissue inside the chest wall.